We are continuing to sift through Feelgood’s fantastic collection of Red Devils and 13 memorabilia. He’s sent us a lot of great stuff to look at, including images of several ticket stubs, and the really cool handbill at right. 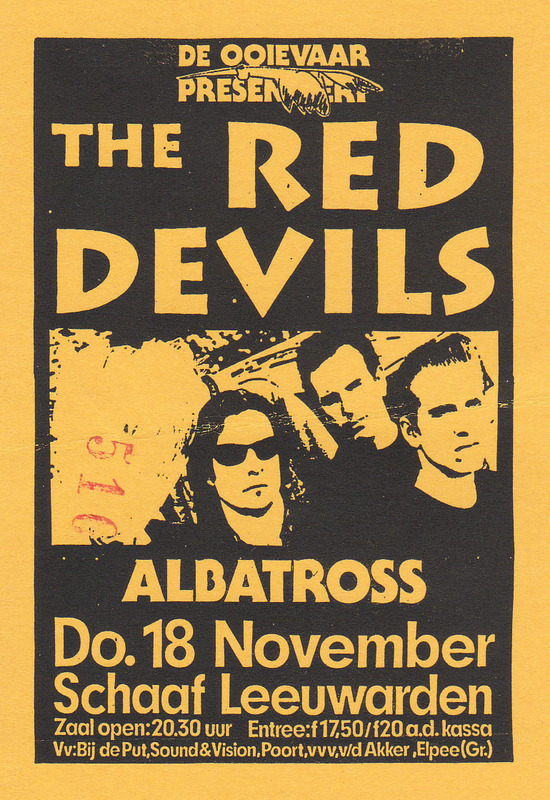 It is from the Nov. 18, 1993, gig at Schaaf, Leeuwarden, The Netherlands. Appears that Paul Size and Dave Lee Bartel were unceremoniously scratched-out from this promo item; Size had probably already left the band a few months earlier. 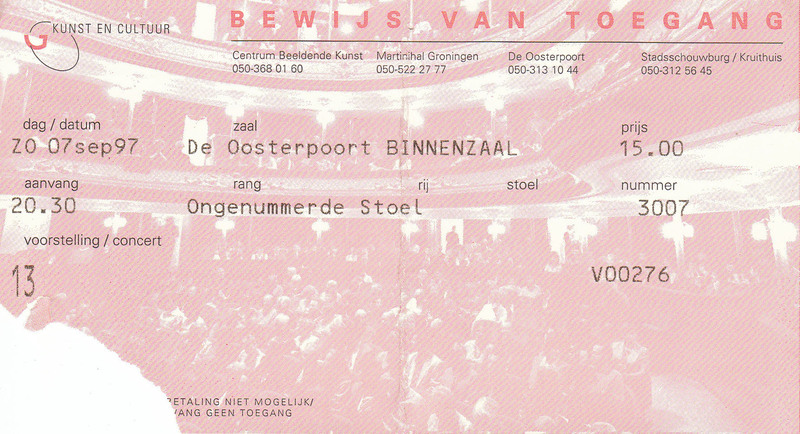 Both tickets are from the venue Oosterpoort in Groningen, Netherlands, three years apart; ABOVE LEFT is the Devils Sept. 4, 1994, and ABOVE RIGHT is 13 Sept. 7, 1997. 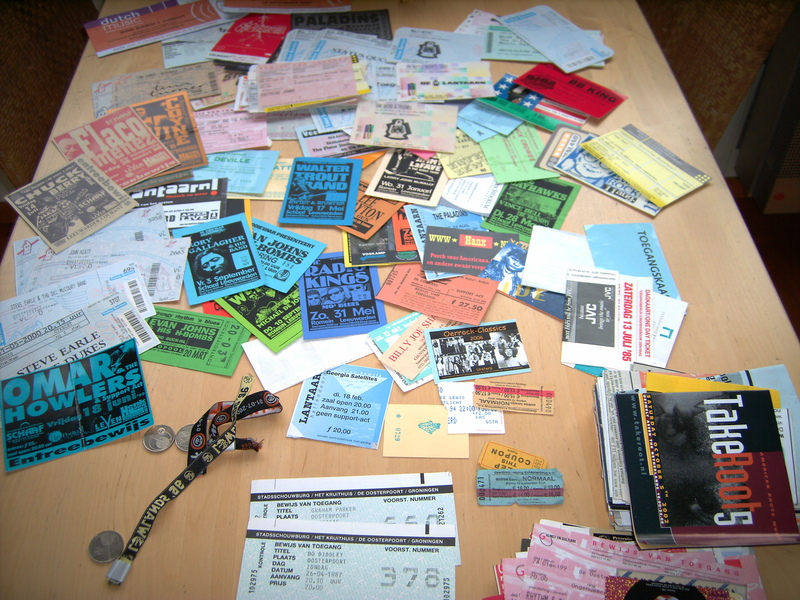 Finally, Feelgood shared his own ticket collection with us: Chuck Berry, Flaco Jimenez, Bo Diddley, Georgia Satellites, Steve Earle, John Hiatt, the Paladins, Billy Joe Shaver, and many more. That’s an impressive resume! Watch for more from Feelgood’s collection, soon on nofightin.com. 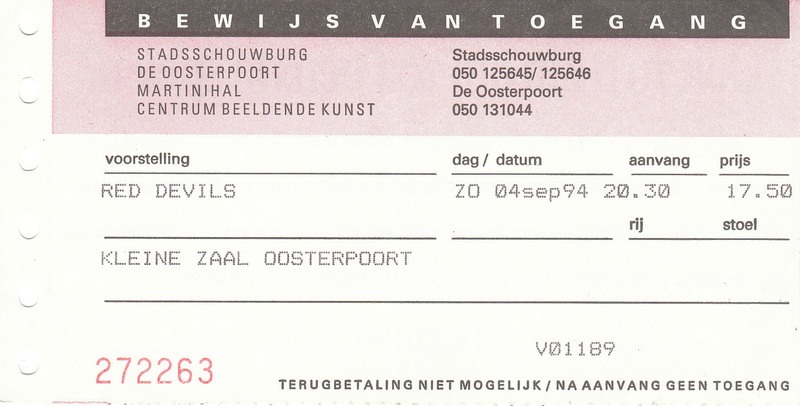 This entry was posted on September 1, 2010 at 3:33 am and is filed under 13, red devils with tags 13, blues, feelgood, netherlands, red devils, tickets. You can follow any responses to this entry through the RSS 2.0 feed. You can leave a response, or trackback from your own site.